Validly activated gift cards are redeemable in full or part payment for merchandise (excluding vending machine sales) in participating PRIMARK® stores where gift card services are available. Gift cards purchased in the UK can only be redeemed in PRIMARK® stores in the UK (excluding any Primark® concessions, including those in Selfridges stores). 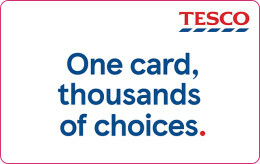 The minimum amount to activate this card is £5 and the maximum credit amount is £200. This card cannot be exchanged for cash or vouchers. No change will be given but any remaining balance may be applied to future purchases. The card balance will expire 2 years after the last card use. PRIMARK® will not be liable for lost, stolen or damaged cards. PRIMARK® reserves the right to amend these terms and conditions from time to time where it reasonably considers it necessary to do so. Reasonable notice of such changes will be displayed at stores. This does no affect your statutory rights. Adored by fashion fans and value seekers alike Primark is widely established as the destination store for keeping up with the latest looks without breaking the bank. 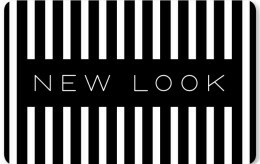 We offer a diverse range of products, stocking everything from baby and kids, to womens, mens, home ware, accessories, beauty products and confectionery. 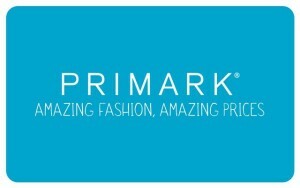 Primark operates today in over 175 stores across the UK. 1. Download and print your eGift Card and note the long number. 2. Go to any Primark store and find your self something amazing. 3. When you’re ready, go to the till and present this eGift Card to the cashier. 4. Enjoy!